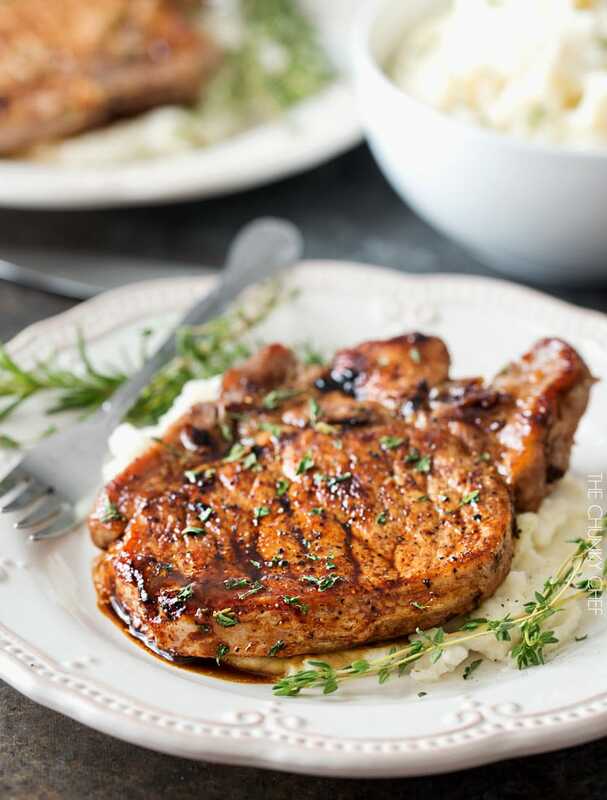 Tender, juicy, bone-in glazed pork chops are seared and coated in a lip-smacking maple balsamic vinegar sauce. 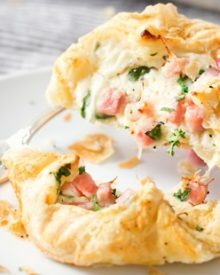 Perfect for a weeknight dinner, or a party! 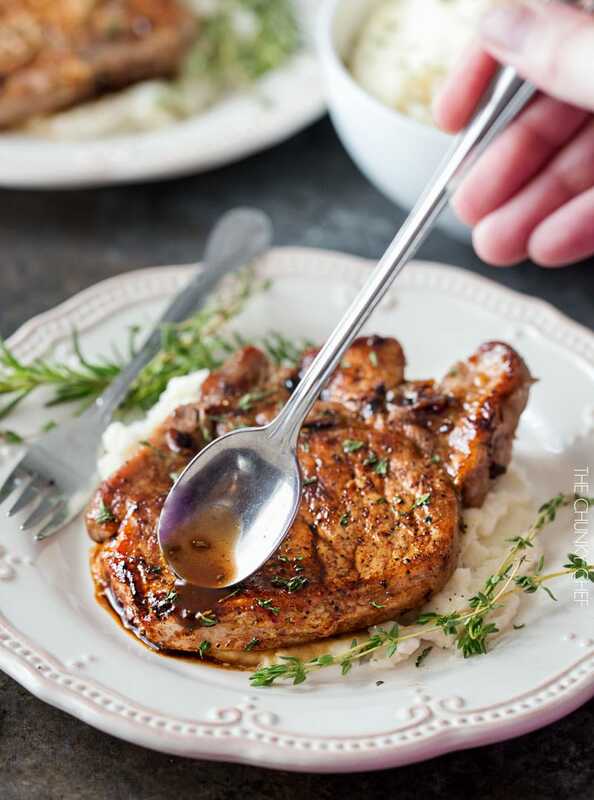 These maple balsamic glazed pork chops are ready in LESS than 30 minutes, which makes them perfect for a quick weeknight dinner! They’re also fancy and gourmet tasting enough to serve to guests! This post is sponsored by the Ohio Pork Council. As always, all opinions here are my own. Now that the holidays are approaching, (so quickly!! 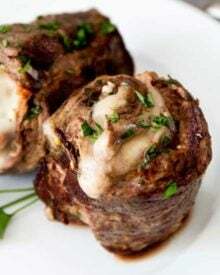 ), I think it’s important to have a great arsenal of amazing meals that you can get on the table quickly and with minimal effort. After all, with all the meal prep, menus, or travel plans that come with the holidays and family, who wants to spend hours cooking a dinner? Not me! For the pictures, I used 2 chops for the presentation, but use as many chops as you can comfortably fit into your skillet. The flavor of this maple balsamic glaze is to die for! Slightly sweet, slightly tangy, and savory all combined in one glorious glaze that compliments the mild pork flavor so perfectly. You could even make the glaze up beforehand and keep it refrigerated in an airtight container, which would make this an even QUICKER meal! If you did happen to have some extra time, you could toss the pork chops in a quick brine, even for 30 minutes. It will impart some extra flavor and juiciness… but isn’t necessary for a perfectly cooked pork chop. 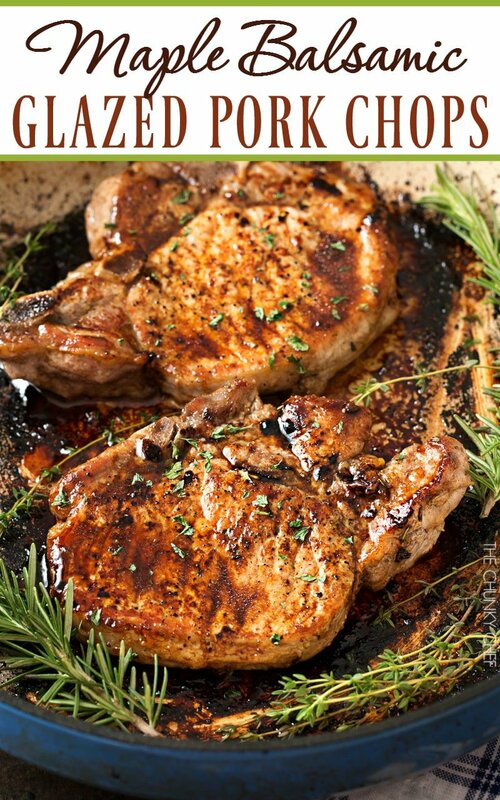 Give these maple balsamic glazed pork chops a try, and soon! I know you’ll love them! WANT TO TRY THESE GLAZED PORK CHOPS? PIN THEM TO YOUR PORK OR DINNER BOARD TO SAVE FOR LATER! In a small saucepan, combine all glaze ingredients. Heat over MED heat until it reaches a low boil. Cook until sauce reduces down, about 3 minutes, stirring occasionally. Set aside. Place cast iron skillet in oven and preheat oven to 400 degrees F.
Pat chops dry with a paper towel, then rub with olive oil and sprinkle with salt and pepper. Remove skillet from oven and place on burner over MED-HIGH heat. Place chops in the skillet, you should hear them sizzle immediately. Let cook 2-3 minutes to sear. Brush pork with glaze. Flip pork chops over, brush the other side with the glaze, and transfer skillet back to the hot oven. Bake until a thermometer inserted into the center reads 140 degrees F (about 5-8 minutes, depending on the thickness of your pork chops). Transfer pork chops to a plate, tent loosely with aluminum foil and let rest for 5 minutes. Serve pork chops with a bit of the glaze drizzled over the top if desired. This was absolutely terrific. I had a half apple that I sliced and carmelized in the pan with the pork, but truthfully, it didn’t add much! I was looking for a new way to cook pork chops. This was delicious! Will definitely cook this again. Thank you! Looks delicious! Would these work in a crockpot? If so, any recommendations? I’ve never tested the recipe that way, so I can’t say for certain if that would work or not. This is delicious! I didn’t have any broth, so I used 2 T. bourbon instead. I’ll definitely be making this again! These were fabulous. I brined ahead of time which I definitely recommend. Also I grilled them. Everyone loved them. My new go to for company. When makeing the glaze you send put in a sprig, did you mean the whole sprig or to take the leaves off the sprig? I made these for dinner. Delicious and tender. I did brine them before cooking. My son said it was the best pork chop he’d ever had. This was amazing! We added some sliced mushrooms and chopped onions to the top (which were cooked separately with mead) and everything turned out soooo good! Not too sweet either. Everyone loved it; even our picky eaters. Will definitely do this again! I modified this recipe. I added some shallots to the glaze. Before putting in the oven I poured the remains glaze, the rest of the shallots, and a cup of white wine in the pan. Chops were delicious and sweet. 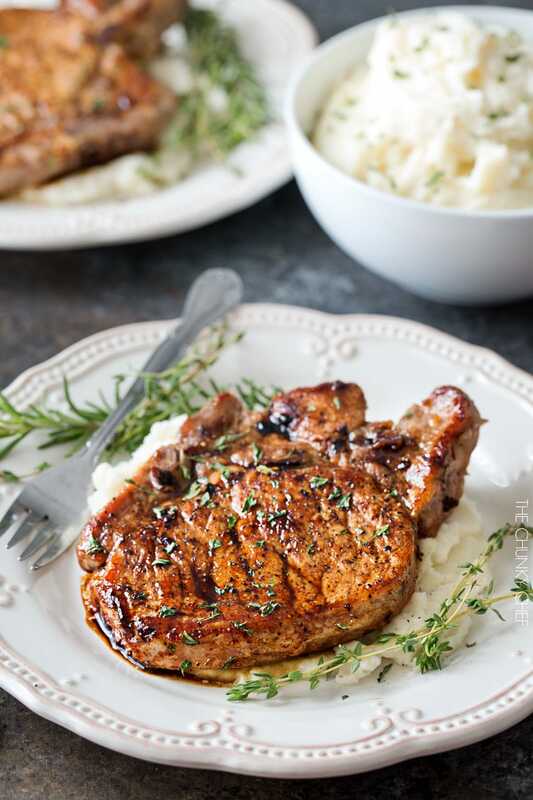 I made this recipe and was blown away at how tender and juicy the pork chops were. 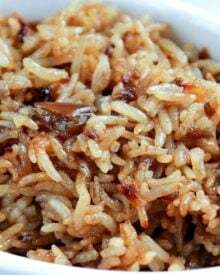 I would love to see your suggestions for sides to accompany your recipes. I have two different types of Balsamic Vineger. One that’s bittersweet light and tangy flavor and the other one is balanced fruity and intense flavor. Which one would u recommend? A very easy dinner to put together. The chops where tender & the Balsamic glaze was very flavorful. Thank you for sharing this recipe. These look amazing. 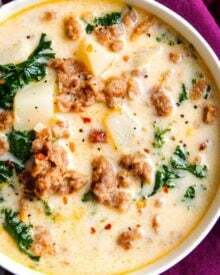 I’m making this tonight and will let you know how we liked it. Thank you for sharing this recipe. I forgot to take a picture, however it was very delicious. I will make this recipe again. Hey! Do you think it would be ok to use honey instead of the maple syrup? I could of sworn I had some but I don’t and I’m in a hurry and have no time to stop by the store. Thank you! Hi Whitney 🙂 I’ve never tried it with honey instead of syrup, but I think it should turn out just fine. The flavor will be a bit different, so I’d love to hear how it turns out! That was THE.BEST. pork chop I have ever had. I doubled the glaze because I love really saucy stuff, and pork sometimes dries out. Though that was NOT the case. This pork was sooo juicy! My tip is.. to make for an easy clean up, remove the chops from the pan and cover with foil to rest and deglaze the pan with cheap white wine. This is SO YUMMY!! Very robust and extremely flavorful. 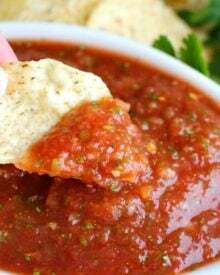 Definitely save some of the sauce for dipping! 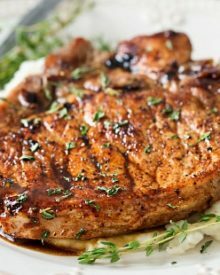 My new favorite pork chop recipe! Hi Jen 🙂 I’m SO happy to hear that you love this!! Thank you for the quick response!! Can’t wait to try! 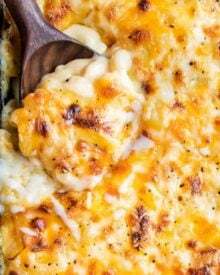 Hi Tori 🙂 You can use any oven-safe pan you want 🙂 If you don’t have an oven safe pan, when you preheat your oven, add a rimmed baking sheet and let it heat as the oven does. Go ahead and sear the pork chops in your skillet, then add them to the hot baking sheet and cook as directed 🙂 That should give you a similar result! My sister is coming to visit next week, and I have two omaha steak pork chops in my freezer from a christmas gift. I think this pork chop recipe is exactly what I should make! Im going to pair it with caramelized onion horseradish mashed red potatoes, and sautéed Brussel sprouts topped with a sicilian lemon white balsamic. Should be tasty!! 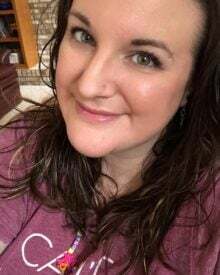 Hi Jessica 🙂 Wow that sounds like a wonderful dinner with your sister!! Wow this looks terrific. I need to make this soon. Seems super easy too! Pork chops have seriously NEVER looked so good! These are some great looking chops! 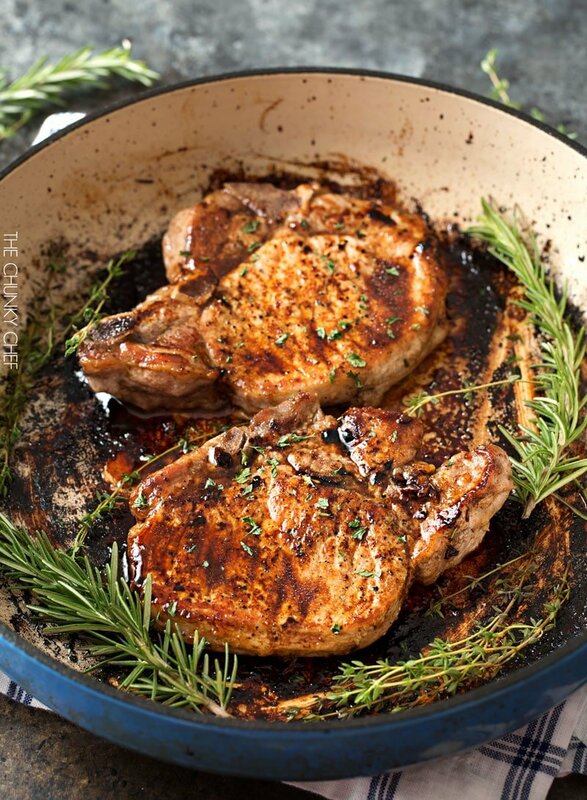 These pork chops look so tender and juicy and that maple balsamic sauce sounds absolutely delicious! You had me at 30 minute dinner, then again at lip smacking maple balsamic vinegar sauce! I want these pork chops for dinner!